I never thought that I would feel too old to do something. But things change. So before pulling the trigger on living out a lifelong dream of mine, there was much soul-searching, much deliberation, but the one thing I came back to time and time again was this: I don’t want to live with regret. But it’s a big risk. You see everything is in on this. EVERYTHING. I mean we have no real financial resources left, other than what money we’ve put aside for plane tickets home (oh I didn’t mention we’re flying on one-way tickets…no safety net people) and a few months of living expenses if needed. So either this thing works, or we’re toast. So that nice little ‘should really buy a house’ nest egg? All gone. This is my mind right now. 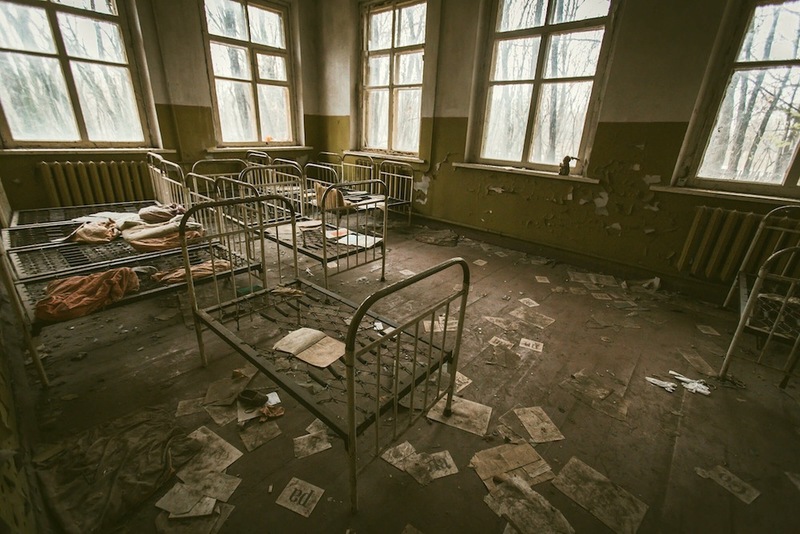 Chernobyl. That’s why the business dirtandrust.com (pass the word around if you need Online Marketing and Web Development), has to fly. We’ve dabbled with this for years, I’ve been plodding away doing bits here and there, Nat has done website stuff under this umbrella for years too. But now it’s time to really take it seriously and make D&R earn its keep. The more the business works, the longer we can be away because we need to work so we can pay the bills. However, let me reassure you, there is tons of work out there online. We have a fantastic client, who really is the one who made me realise this was possible (shout out to Justine at yourva.co.nz), and through the work that we have done for her and her clients we know we’re onto something with the business. It really is pretty exciting, but a lot of hard work. So while we made the decision to do this trip, we’ve also been redoing the business, upskilling up the wazoo and redoing the website and planning out marketing. Most of this work is yet to be done because we have all those other things to do – you know day jobs, children and paperwork…. oh god stop the paperwork! So the decision to do this wasn’t taken lightly. I can feel the age thing creep in. I bet if I waited two more years, I’d say ‘NO’. I’m also very aware of the kids’. Alpha would be 11 and heading into teenage-land, and Lennox would have found his tribe and be harder to move, and since this is MY dream we’re living (although I’m very grateful that Nat has embraced this, he’s the one listening to Latvian music and getting familiar with Google Translate, it would eat away at me if I really damaged them. Now they are old enough to be independent, and young enough that we can tell them what to do (mostly). So, yes I’ve wanted to travel since I was 8 years old. I obsessed over atlases, Italy, and airplanes, so if I don’t do this I will regret it. Yes, I’m doing this out of the ‘proper order’ – the ‘proper order’ being: High School, University, O.E*, career, house, marriage, kids. I did it this way: High school, University, Career… oops made redundant from career, move countries/marry (at the same time), try new career, try another career, and another career, kid #1, move back to NZ, Kid #2, work online, Still can’t buy a bloody house because of Auckland, Holy crap both kids at school and still no career…. Hang on a moment I do know a few things, but man I wish we could work and travel, other people do it. Wait. I work online, Nat can work online. Let’s work online and travel, then come home and figure out how to do grown up stuff. So that’s what we’re doing. Feel free to comment and ask me questions about the trip. The blog will become the landing place for not only my experience, but Nat and the kids’s too. I’m sure Lennox’s blog posts will be something like “I played X-Wing Fighter pilots in Latvia. The end.” Alpha will be about the dogs she’s seen and the clothes. Nat, hmm, not sure what he’ll write about (music and language I’m betting). So watch this space. *For those not familiar with the term “Overseas Experience” it’s a right of passage for Kiwi’s and Aussies. You head overseas either around age 18 (if you don’t have a clue what to do with your life)or 22 year (when you’ve got your degree and still don’t know what to do with your life) and live and work overseas for 18 months-2 years, before coming home and settling into a career, house, marriage routine. One-half of the adult section in this adventure. I tend to fill in forms, make sure everything is in place, and wrangle children. My writing tends to be stream of consciousness, so don't expect anything to stay strictly on topic.